wow nice recipe mythree! 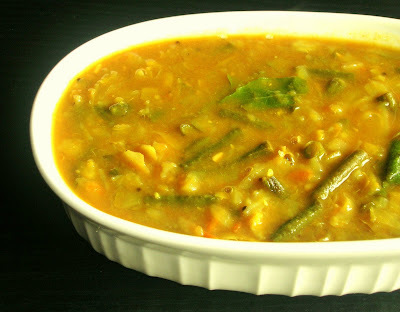 i even add them when making sambhar too! hey Mythe, I used to have this curry in India. we used to get fresh beans. miss it all. nice recipe. will try out. This looks so good.Nice pics too...Hmmm.. Absolutely delicious recipe, the pictures are very tempting. Do u use readymade Kootu powder Or Could u please post on how to make the "KOOTU powder" ? 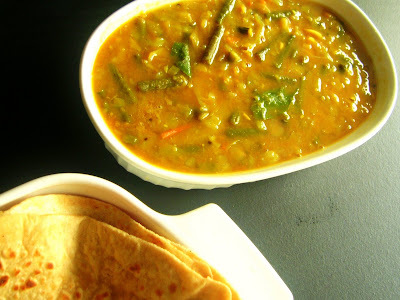 Deepa: Sure and once you develop the taste for this buttery yummy legume, you will want to add in many other dishes too. Roopa: Next time I should try with Sambar. 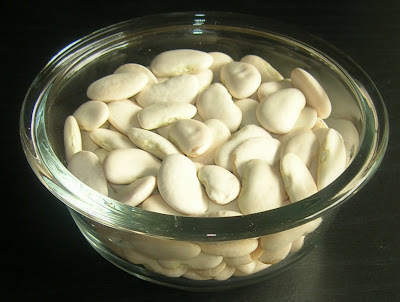 Asha: Oh, I should try with baby lima beans. Since I like this beans, I will surely like the curry. Sharmi: I have not tried in India. Just learing and experimenting with these legumes. IndoSunGod: It is becoming my fav. too. Thanks. Aruna: My mom sends me her Kootu Podi. I do it sometimes too. Will surely post the recipe for all the spice powders I do. mythree - I have to try this kootu. Haven't tried lima beans very often. This is a reason to try. Thanks. Hi, I love this recipe. My whole family like this recipe. Thanks for the recipe.